We’ve got another stunner! 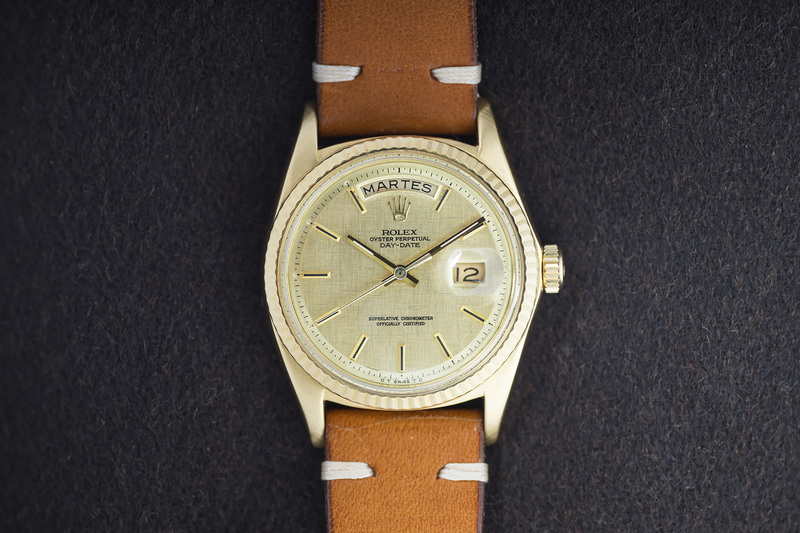 This 18ct yellow gold vintage Day-Date was born in 1970 and features a striking textured ‘Sigma’ dial. 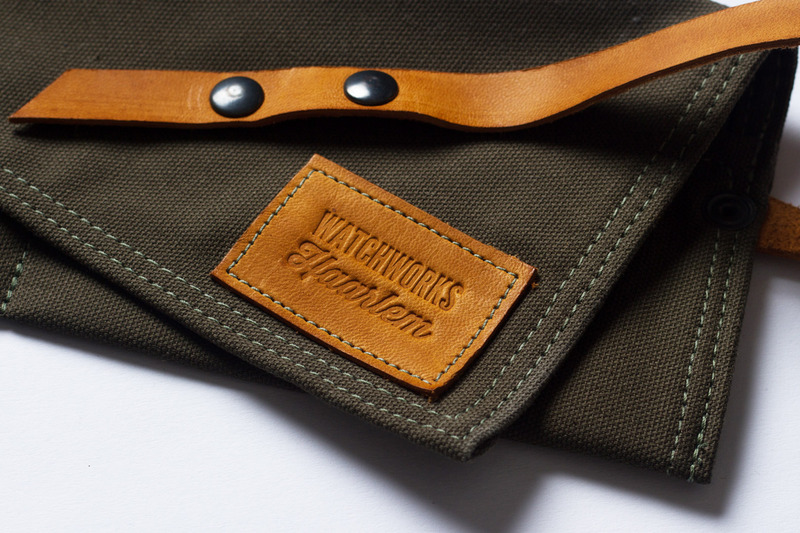 The finish on the dial is better known as a linen dial, as the finish on the dial resembles crossed threads of, oh well – linen fabric..
Each of the yellow gold hour markers have four beautiful faceted sides with a sleek black lacquered line running down the middle of the marker. Those black lines aren’t that obvious till you hold the watch in an angle, then it all makes sense. 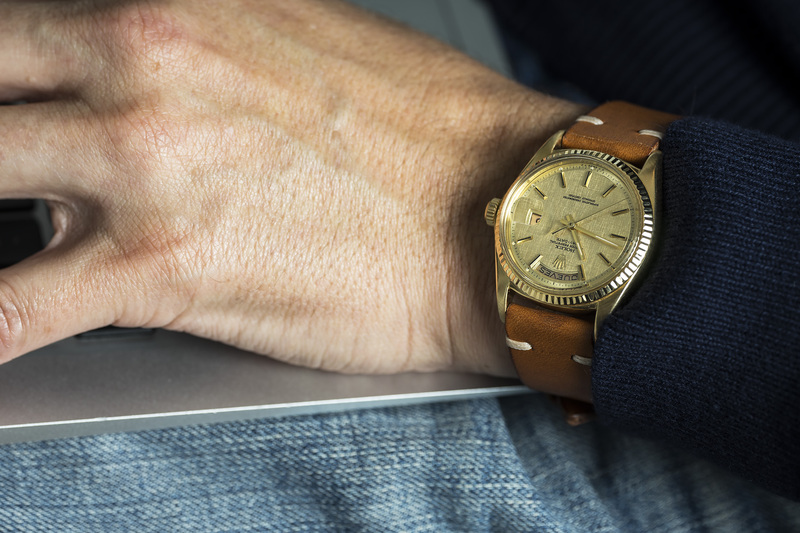 The small black lines increase visibility once the watch is on your wrist, its not loud but when you look down to check the time, all hours are clearly visible and its easy to read the correct time all due to that little black line – A fine piece of Rolex design and craftsmanship! 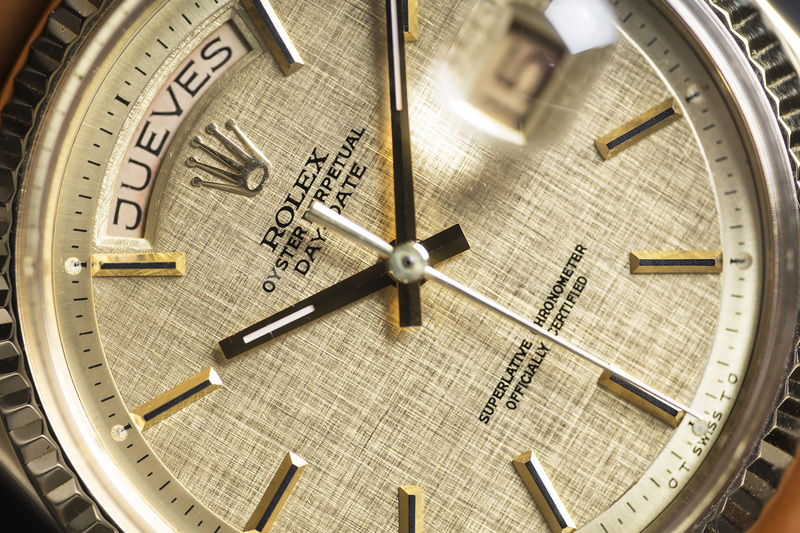 The Day wheel features the days of the week in Spanish, while the Date wheel has the so-called open 6’s and 9’s numerals which are very attractive to us #watchnerds. Yes, the case has previously been polished but it still shows strong lines on all sides with a thick case-back and all gold markings present on the backside of the lugs. 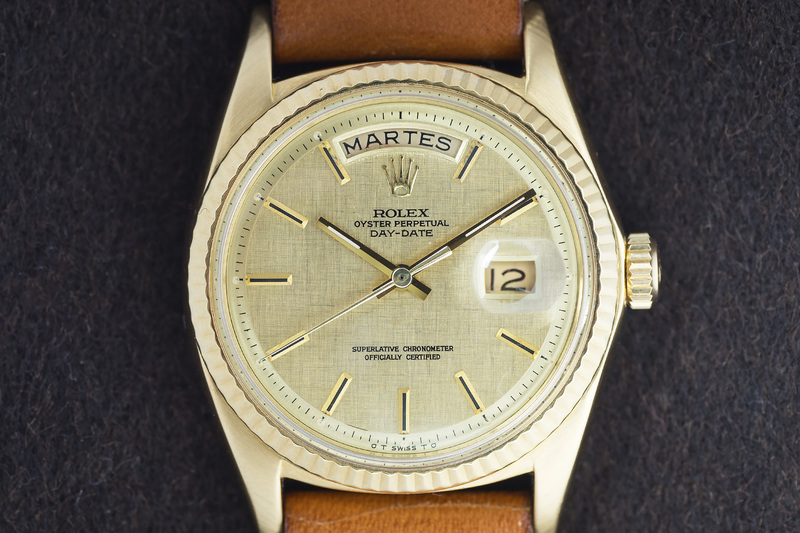 Within the range of 36mm watches we feel that the Day-Date 1803 is one of the most beautiful vintage Rolex watches around. 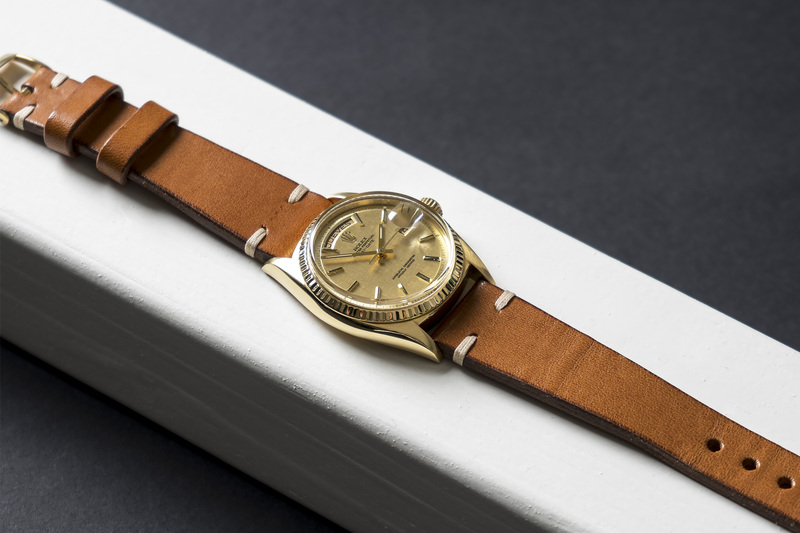 On a leather strap its also fairly affordable compared to its full gold Presidential brothers. 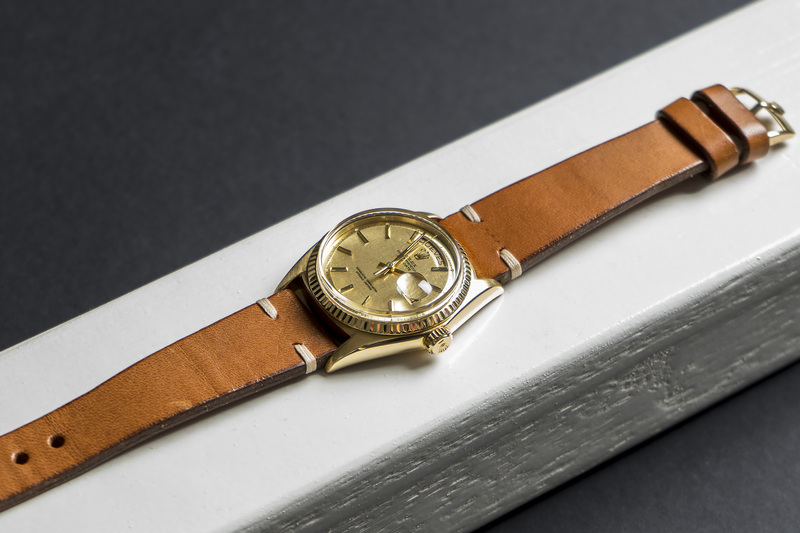 This 1803 is fitted on a 20mm handmade vintage strap with a rare 18ct yellow gold, 16mm Vintage Rolex buckle! 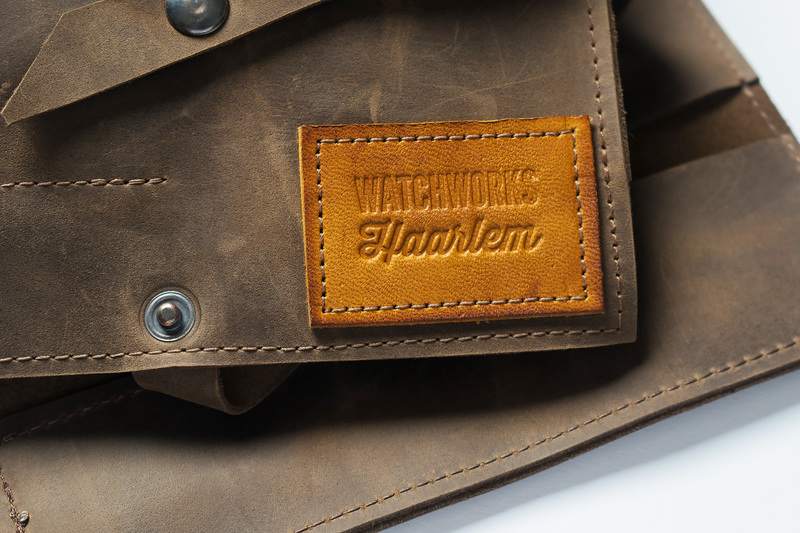 This is one watch you won’t regret buying! 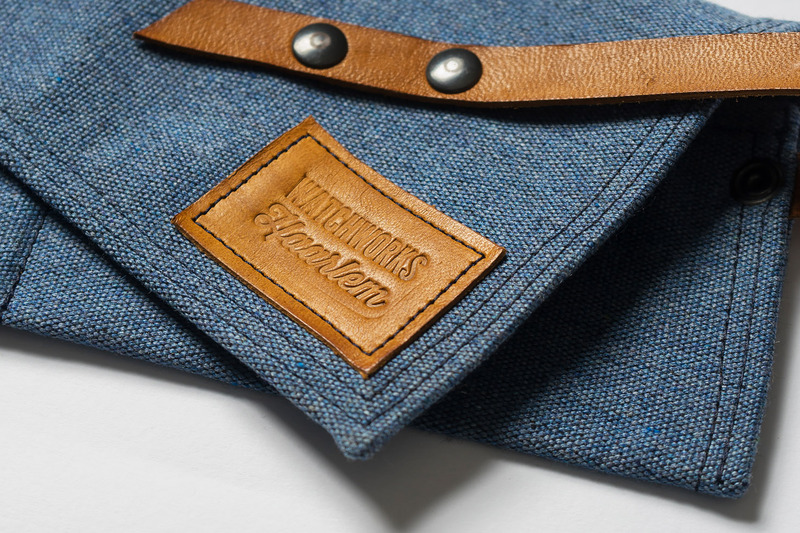 The linen Day-Date was completely serviced and will be offered with a 12 month warranty.